The murder of Markeis McGlockton, who was fatally shot by a white man in a Florida parking lot, has sparked national debate about the controversial “Stand Your Ground” law. 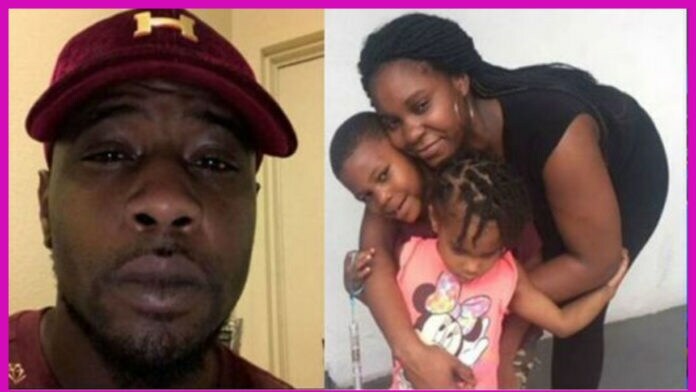 Besides being in a committed relationship, a son, and a father, 28-year old McGlockton was actually shot and killed in front of his girlfriend and children. Below is a checklist of five things you need to know about the circumstances surrounding McGlockton’s tragic death and why many already suspect that justice may once again skip over a grieving Black family. Surveillance video shows that on July 19, 2018, McGlockton’s girlfriend Britany Jacobs was sitting in the parking lot of a convenience store in Clearwater, Florida, waiting for him to come out. 5yo Markeis had to watch his dad, an unarmed black man, die after he was shot by a white man who failed to see him as a human; he saw Markeis as something unworthy of life. That’s when Michael Drejka, 47, walked over to her to complain about her being illegally parked in a handicap space. When McGlockton found out the older gentleman was yelling at Jacobs, he came outside to defend his partner and children who were also in the vehicle. The argument escalated and McGlockton shoved Drejka to the ground. That’s when Drejka, who is white and a legal firearm owner with a concealed carry permit, shot McGlockton even though McGlockton had begun to walk away and was no longer posing a threat. As soon as the shooting happened the store owner was quick to tell news outlets that Drejka has a history of causing trouble and getting into disagreements with his customers. Rich Kelly, a regular customer of the store, told The Tampa Bay Times that Drejka used racial slurs and threatened to kill him during an earlier encounter. It is also worth noting that in 2012, another driver accused Drejka of pulling a gun during a road rage incident. Drejka denied he showed the gun, and the accuser ultimately declined to press charges. Jacobs says McGlockton was her high-school sweetheart and the pair had been together since 2009. The family stopped by Circle-A-Food Store on the way home just to grab chips and drinks. Jacobs parked in the handicap spot because the parking lot was busy and they only planned to be inside for a minute. The couple’s 4-month-old and 3-year-old children were in the car with their mother when an angry Drejka approached them. Their 5-year-old, named after McGlockton, was in the store with his father. After the shooting, the boy had to go through the traumatizing experience of watching his mother applying pressure to his father’s bullet wound with an extra shirt. The 25-year-old mother says she wants justice, and can’t emphasize enough that Drejka went up to her while she was quietly sitting in her car with her kids. On Friday, July 20, Pinellas Sheriff Bob Gualtieri confirmed during a press conference that the police had no plans to take Drejka into custody. “After being slammed to the ground, he felt he was going to be further attacked,” he explained. “The Florida Legislature has created a standard that is a largely subjective standard. The person’s subjective determination of the circumstance they were in, the fear that they had, is relevant to the determination of whether they were justified in the use of force. The law in the state of Florida today is that people have the right to stand their ground and have a right to defend themselves when they believe they are in harm,” Gualtieri continued. A few hours after Sharpton’s announcement was made, Tallahassee Mayor Andrew Gillum, a Democratic candidate for governor, sent out a press release stating he would be speaking at a town hall related to the shooting with Clearwater Police Chief Daniel Slaughter. Later that afternoon Gillum also spoke at Mt. Carmel Baptist Church and charged voters to make the state’s “Stand Your Ground” law a make-or-break issue for candidates come November. NAACP leaders, U.S. Rep. Charlie Crist and several clergy were also inside the packed church along with McGlockton’s immediate family sitting in the front row, and 150 members of the audience, who filled the brick building’s pews. We are going to repeal Stand Your Ground. Gillum received overwhelming applause after he asked the crowd if they were prepared to refuse to vote for candidates who support the law. “This comes down to electing elected officials who understand that their top priority needs to be the repeal of ‘Stand Your Ground,’?” Gillum said.